When my daughter arrived four weeks prior to my due date, I was taken a little off guard, yet so relieved to bring my happy, healthy and beautiful baby girl into this world. I was in awe of her from the start, and so grateful to know that despite her being with us sooner than expected, she was in good health, and I had no reason to worry. I had also decided prior to Penelope’s birth that I would take a break from traveling for a little while. I didn’t want to miss a single precious moment with her, so I sadly declined several wonderful travel opportunities that came my way. 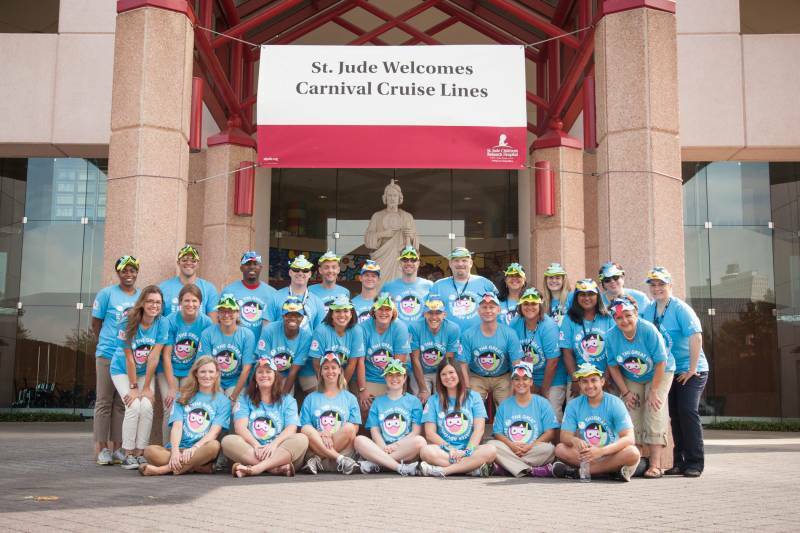 That is, until an opportunity to join the Carnival Cruise Lines team for their “Day of Play” volunteer initiative at St. Jude Children’s Research Hospital landed in my inbox. Immediately I knew this was something I needed to do. I have to be honest – when I arrived in Memphis, Tennessee, I was expecting a tear-inducing trip before me. For some reason, I envisioned a cold hospital setting, filled with ill children and depressing music playing above from a loud speaker. I’m a little embarrassed to admit that I went in expecting the worst; I could not have been more wrong. Entering St. Jude for the first time, I encountered an environment that exudes endless positivity. This was a happy place. A hospital unlike any I’ve ever visited. It was the exact opposite of cold; it was a warm atmosphere, giving off an incredible sense of hope like I’d never seen before. Within moments of entering the hospital, the first thing I noticed that I found so clever, and so thoughtful, were little red wagons. Although there are, of course, wheelchairs at St. Jude, the major form of transportation within the hospital for the younger kids are red wagons in which they are pulled. Teddy bears can have a seat, too, and the experience is more fun. When I walked in a little further, I noticed art-adorned walls with sunniness. The registration area is equipped with desks that come down a little lower, so that children need not feel intimidated when they arrive. Every single aspect of the St. Jude experience is so thoughtfully and cleverly designed, there is no way for me to adequately explain how magical St. Jude really is. Before my initial tour of the facilities got off to a start, I encountered a young boy, probably about six years old (but I couldn’t be sure) who ran in my direction with sheer joy. “I don’t have to take my stinky medicine anymore! !” he exclaimed. He was so filled with happiness and hope; he just wanted to share his excitement from his good news. And good news is not a rarity at St. Jude. When the hospital opened in 1962 there was only a four percent cure rate for Acute Lymphoblastic Leukemia – the most common form of childhood cancer – those odds have increased to a whopping 94 percent today. Eighty percent of the hospital’s cases are made up of childhood cancer, but the facility also runs the largest treatment center for sickle cell disease, and treats pediatric HIV. 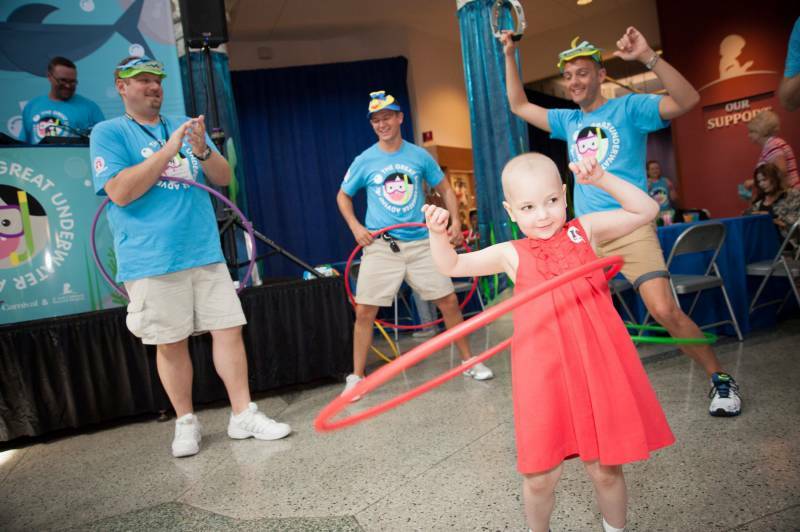 Thanks in part to the work of St. Jude, the overall survival rate for pediatric cancer has increased from 20 percent in 1962 to 80 percent today. While freeing children from their illness is the reason for being at St. Jude, it’s not the sole mission. There is so much more depth to it than that. The impact that cancer can have on a child’s life and his or her family is understandably, astronomical. The core belief at St. Jude is that no child should lose their life to these illnesses, and no parent should have to worry about anything besides their child getting better. It is for this reason that families never receive a bill from St. Jude. In fact, St. Jude covers treatment, housing, meals and transportation, so that families only need concern themselves with their child’s well-being. It’s not unusual at St. Jude for a family to learn that their child has cancer on a Monday, and fly down to St. Jude on Wednesday, only to stay for two and a half to three years. As one would imagine, this would entail a great deal of shock for anyone to go through. In addition to their care team, a multitude of services – chaplains, child life representatives, social workers and teachers – are available at St. Jude to work with families to absorb this adjustment, and help them through this difficult and confusing process. 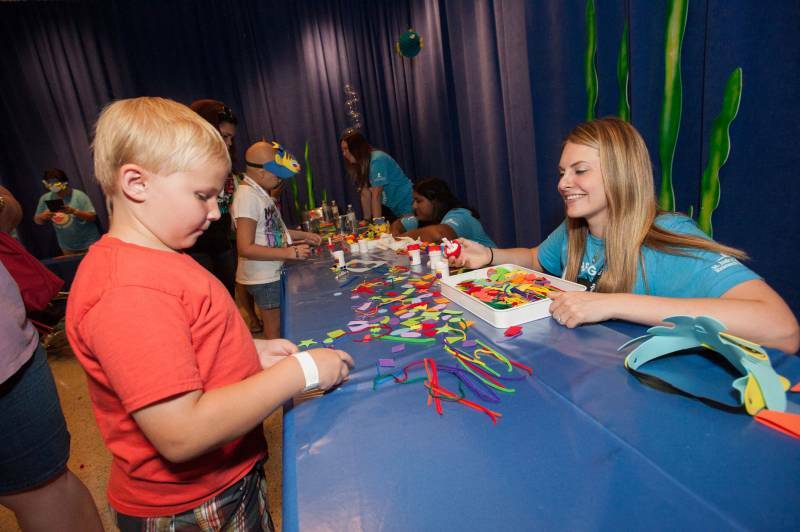 Since many St. Jude families spend an extended amount of time on-site, St. Jude is determined to maintain a degree of normalcy, and, dare I say, fun for all, as keeping patients positive and entertained can increase the success of their treatments. St. Jude does this by hosting holidays and activities on a regular basis. On Halloween, everyone – doctors and patients alike – dress up for the holiday. Trick-or-treating happens throughout the hospital. 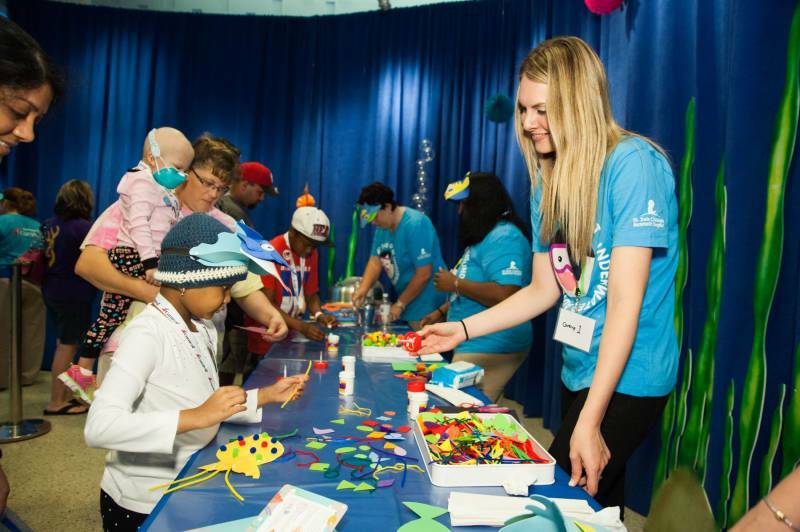 There are kindergarten graduations, junior and senior proms (Carnival Cruise Lines has provided prom décor for the last three years), a sibling star day to honor siblings of patients, and all sorts of fun activities. Life goes on at St. Jude, and there is always something to look forward to. The care is second to none. The nurse/patient ratio in the bone marrow transplant ward is 1:1. You read that right – every patient has their very own nurse that they share with no one. The rooms even have separate room extensions for families, so that they can shower, make calls or write emails, and stay feeling like themselves, while being on-hand to support their children. St. Jude never underestimates the importance of a child’s support system. All rooms at the bone marrow transplant area have large windows so the patients can enjoy the sunlight. Even the radiation rooms in the basement are basked in natural light from skylights. Everything is carried out with purpose and sensitivity to the experience. Housing for families of St. Jude is provided at absolutely no cost. Having seen the extended-stay housing facility, the St. Jude Target House, I can say that the accommodations are gorgeous, and feel like a cozy home. Each individual apartment comes furnished, with appliances, separate bedrooms and a kitchen table for the family to share meals. The apartment’s living room is set with a couch, television and everything you’d expect from a comfortable place to call home. The St. Jude Target House features playrooms and common areas with gaming and entertainment for all ages, from a real life-size dollhouse for little girls to billiards and video games for tweens and teens. There are art rooms, playgrounds, a BBQ area, and even a fitness room for parents to let off steam. A local salon even comes in once a week to give complimentary haircuts, pedicures and manicures on-site. It’s clear when you’re there that all of these components are essential in keeping the unshakable hope that resides within. The day following my comprehensive tour of St. Jude I geared up with the Carnival team to give a fun “Day of Play” to these incredibly brave and inspiring children. 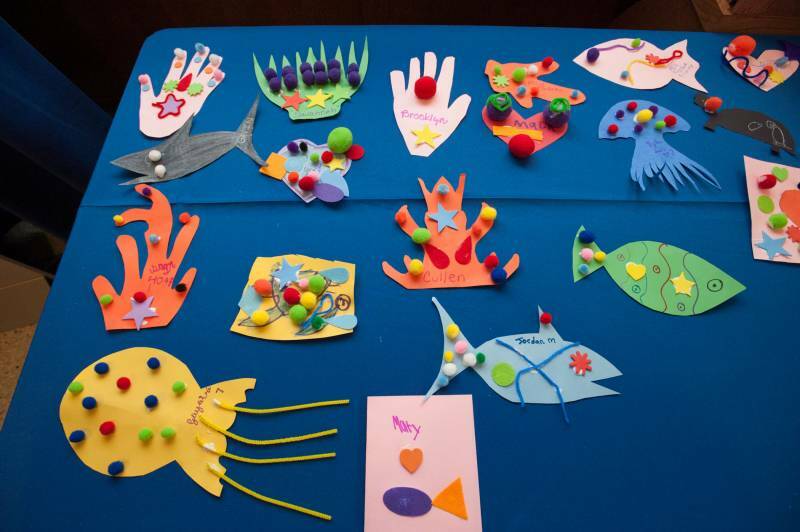 We set up a “Great Underwater Adventure” themed carnival, where the kids could come in with their families and play carnival games, dance to the DJ’s music, take photographs, win prizes, and make crafts. I had the opportunity to hang out with so many wonderful children and their families, as we drew pictures, made cutouts, and pasted crafts together. 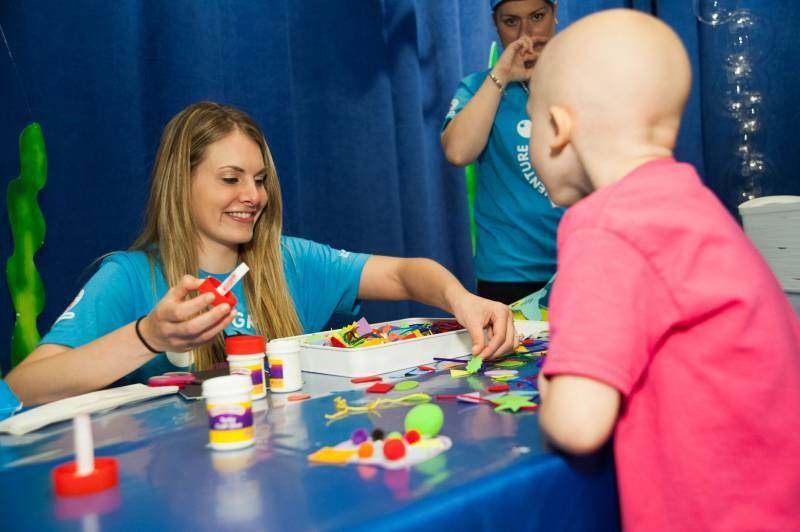 It was one of the most touching days of my life, because I had the opportunity to be one small part of an event that made so many children smile that day. I was in awe of everyone I encountered, and so grateful for the lessons they shared with me. I knew that going to St. Jude would help me appreciate my life, and all the fortune that surrounds it, but I got so much more than I had anticipated. I am thankful for my family’s health. I am thankful for my family’s (and everyone’s) continued contributions to this incredible organization. I am thankful that a place like St. Jude exists. To really digest the wonder that is St. Jude is to believe in miracles. This place is a real-life miracle. I have been home for over a week now, and have resumed my regular routine, but my heart is still warmed by the compassion and positivity that I encountered in Memphis at St. Jude Children’s Research Hospital. 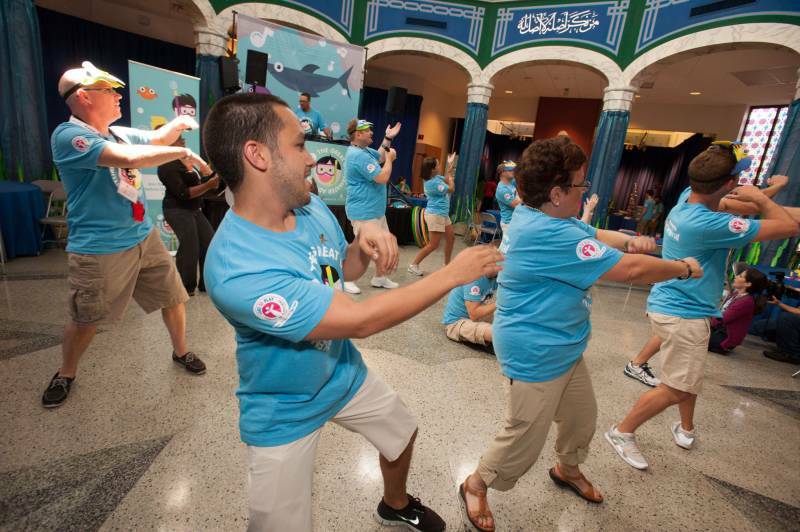 We can all play a vital role in helping to stomp out childhood cancer. Running this lifesaving hospital costs $2 million every day. The hospital relies on charitable contributions, no matter how small, from its donors. If you are interested and able to join this incredible mission with St. Jude, you might consider making a donation, or finding ways to get your community involved. Check out http://www.stjude.org/donate for more information. My transportation and overnight accommodations for this trip were provided to me by Carnival Cruise Lines. All impressions and opinions are strictly my own. Carnival Cruise Lines made this trip possible for me on behalf of Lady And The Blog, and is a major supporter of St. Jude Children’s Research Hospital.